Long-distance trips are no problem with this reliable RV, which boasts a hitch weight of 690 lbs. and a GVWR of lbs. There is a 17' 0" awning that's easy to open, so you can lounge outside in the fresh air without suffering from a nasty sunburn! So many great features are included in the Forest River Flagstaff Super Lite 23FBDS because it's 25' 0" long and 8' 0" wide, with 2 slides! 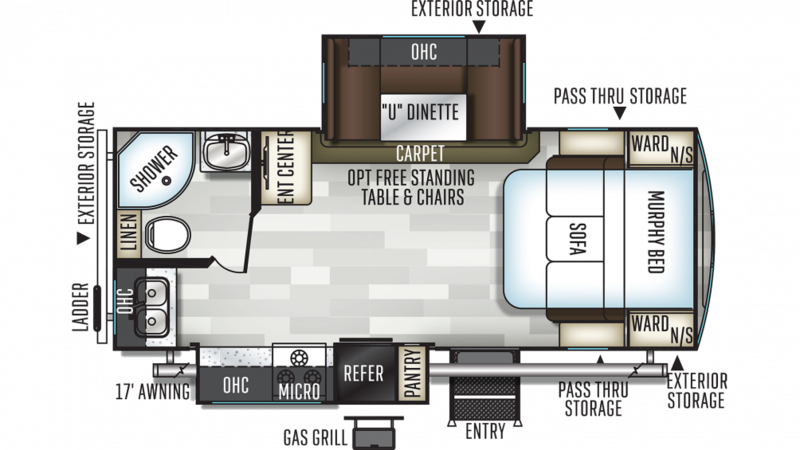 There's plenty of living space for the whole family to relax in, and you'll stay comfortable inside no matter what the weather outside is like because this RV has a modern 13500 BTU a/c unit and a reliable 35000 BTU furnace! 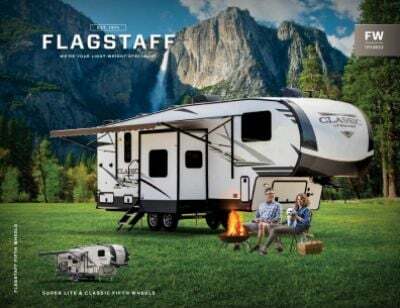 Providing your family with great meals on the road is no problem in the 2020 Flagstaff Super Lite 23FBDS because it comes with a fully appointed, modern kitchen, complete with a 3 burner range cooktop, and other great cooking appliances! And there's a roomy 8.00 cu. ft. refrigerator to stock all your fresh foods and cold beverages! You'll have enough refreshing, clean water for your family's needs with the massive 60 gallon freshwater tank!